Fuel-cell vehicles are the technology of tomorrow. That's what's been claimed for some time now, so when's "tomorrow?" With a handshake, the Ford-Nissan-Daimler deal is done. Some say it's decade away, but a recent deal struck up between Nissan, Ford and Daimler hints that "tomorrow" may be sooner than expected. On Monday, Nissan, Ford and Daimler signed a three-year agreement for joint development of a common fuel cell system that, according to the trio of automakers, will result in an affordable fuel-cell vehicle on the road by as early as 2017. But we've heard claims similar to this before, so we'll not act surprised if this statement proves to be inaccurate. Apparently, this comment was made in response to a question asked by a reporter. The question was whether a fuel-cell vehicle would hinder sales of the electric Nissan LEAF, so Shiga's response would seem to indicate that the LEAF is safe, even if an affordable fuel-cell vehicle without restricted range becomes reality. "Fuel cell electric vehicles are the obvious next step to complement today's battery electric vehicles as our industry embraces more sustainable transportation." 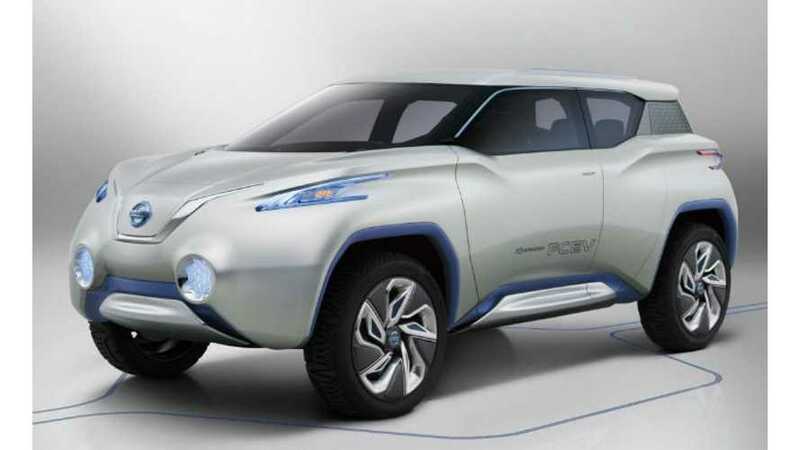 If we read between the lines here, then we realize that Nissan's approach is that fuel-cell technology, when it becomes feasible, affordable and practical, will only be utilized in large vehicles (SUVs, trucks, full-size cars), while the pure electric setup will be reserved for compact, subcompact and possibly even mid-sizers. But we still doubt the possibility of an affordable fuel-cell vehicle appearing by 2017. Perhaps the automakerss use of the word "affordable" isn't accurate. By affordable, we assume a LEAF-priced vehicle. But is this what Nissan, Ford and Daimler are actually implying?